Almost missed this one, Paul Thurrott of WinSuperSite fame has previewed Windows 7 Beta 1 a day before Christmas – he must have been an ultra good boy in that case. Well, the waiting is finally over. What you’re looking at here is the eagerly awaited Windows 7 Beta, the pre-release version of Microsoft’s next operating system that will ship publicly by mid-January. As promised, there are no new features exposed in the Beta: Instead, Microsoft has tweaked all of the existed features that were announced at PDC 2008 and provided a build that is capable of day-to-day use. I’ll be reviewing the Windows 7 Beta soon. Whilst most will have to wait a tinsy bit more before they get their hands on the ‘official’ Beta 1 release – tagged v6.1.7000.0 (winmain.win7beta.081212-1400). Paul gives us a run down of the installation (part1, part2), first boot (part1 – with Windows Media Player, IE amongst the shots, part2 – Control panel applets, wireless, desktop UI changes). If that wasnt enough, NeoWin also has a thread from a forum member of the leaked pre-release. Wow, is this not the best Christmas EVAR for l33tle geeks around the globe? Linux 2.6.28 released for all the good l33tle boys and girls! Linus Torvalds just released Linux Kernel 2.6.28 today as an Christmas present to all the good (and not evil) l33tle-big boys and gals around the globe. This brings a whole host of new cool bits and bobs thats sure to get people excited (Ext4 being one and the GEM Memory Manager) read all about it in the Linux Kernel Newbies guide. Merry Christmas & a Happy, Safe & Prosperous New Year! Wishing everyone a very Merry Christmas and a Happy, Safe & Prosperous New Year. Hope you were all good boys and gals and the quite old n hairy, slightly overweight but cheery bloke got you something you wanted. Even with all the naughties I’ve done this year (lets not elaborate on those), he still managed to visit my place and leave an I-Sobot under the tree. Unfortunately with the relatives and various visitors around the house I havent had a chance to open it up, when I do I’ll post some pictures and information. In the meantime, checkout this video about what i-Sobot can do. 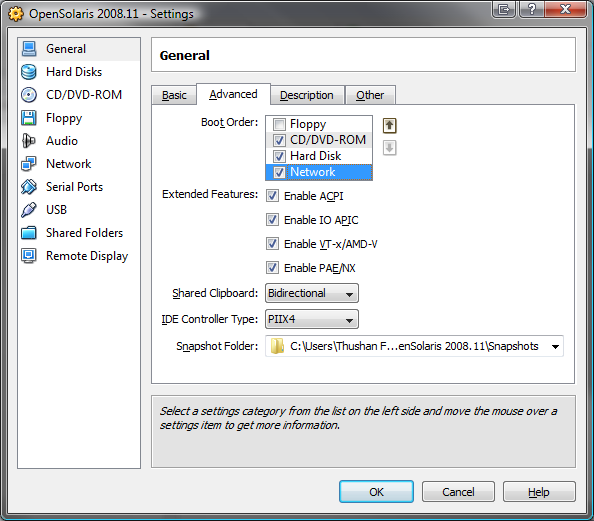 Sun ushers in VirtualBox 2.1 with cool new features! Some key things to note here, those “cool” people that run OS X can now get hardware virtualisation. Even if you have a 32bit host operating system your able to run 64bit hosts so long as you enable hardware acceleration on the CPU (AMD-V or Intel-VT) as VirtualBox’s Hypervisor requires this to work. 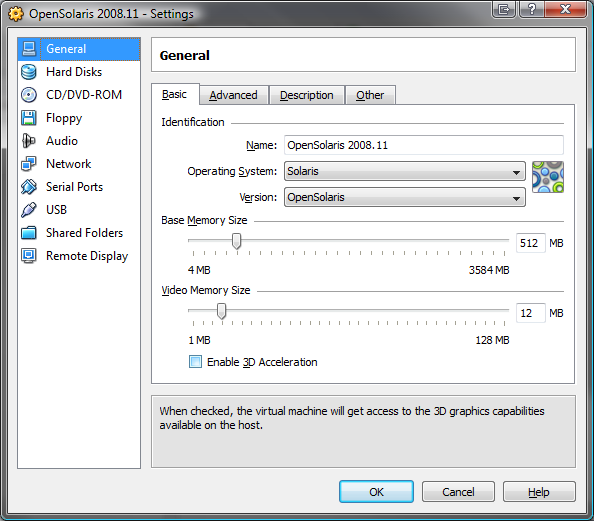 A couple of other major additions – tested personally, include the enhanced virtualisation on the new Nahalem processors (Extended Page Table & Virtual Processor Identifier – see below) and the starting block for OpenGL (and later DirectX) Acceleration in XP and Vista. Testing this on OpenGL gave some decent performance though its still got a bit of work to do. What’s an Extendable Page Table & that VPID thing??? Virtualisation in the Intel world comes in two flavours, the Intel VT-x and Intel VT-i Architectures. The VT-x is for IA-32 processors, whilst the VT-i is for Itanium processors. Intel took a slice of the Virtualisation pie offered by AMD’s Pacifier architecture in implementing a method of translating ordinary IA-32 page tables from the guest-physical addresses to the host-physical addresses used to access memory. This way, guest’s can handle their own page tables directly and page-faults associated with them directly and minimize the (sizable) overhead associated with translating. This is known as Extended Page Tables (EPT). Virtual Processor Identifiers (VPIDs) on the other hand allows a hypervisor (or a VMM) to assign a non-zero VPID to each virtual processor with the initial processor (VPID = 0) assigned to the hypervisor itself. This way, the CPU can use the VPIDs to tag translations in the Translation Lookaside Buffer (TLB) which removes the performance penalties associated with flushing TLBs on VM Entry and exit. Both these two bits of technology (along with NMI-window exiting) come on the Nahelem processor‘s Virtualisation enhancments. If your interested in a more indepth explanation see the article Solving Virtualisation Challenges with VT-X and VT-I from the Intel Technology Journal. VBoxManage: ?xed bug which prevented setting up the serial port for direct device access. Overall, on the two different machines that I’ve tried the new 2.1 release on, they’ve both “felt” snappier (QX6850 and a Core i7 965E – architecture summary) but unlike the 1.6 release – which was somewhat flakey for me, 2.x releases of VirtualBox are solid. Dont take my word for it, download and try it out. Grab your copy and try it out. Give it a shot, heck try OpenSolaris 2008.11 on there just for kicks! Sad and tragic news today, that Subaru will be withdrawing from the WRC. Australian world rally championship driver Chris Atkinson will be forced to look for a new manufacturer in 2009 with Subaru pulling out of the sport because of the global financial crisis. Japan’s Fuji Heavy Industries, the maker of Subaru cars, made the announcement on Tuesday. “Our business environment has rapidly deteriorated. In order to protect the Subaru brand we were forced to make this decision,” Fuji Heavy president Ikuo Mori told a press conference. Mori fought back tears as he announced the decision at a press conference, thanking Subaru fans. This sudden decision was in response to the widespread economic downturn that is affecting the entire automotive industry, and follows Suzuki’s withdrawal announced yesterday. After 20 years in the sport, during which time the Prodrive-run Subaru World Rally Team has won six World Rally Championship titles, this is not only sad news for Subaru and the team, but also for millions of rallying fans around the world. Thanks to its highly successful World Rally Championship programme, Subaru has developed into one of the world’s most widely recognised and evocative automotive brands. Looking ahead, 2010 will see the introduction of new World Rally Championship technical regulations, which provide Prodrive with an opportunity to prepare for re-entering the championship with a new team and build on its 24 years of World Rally Championship experience and success. Cant wait till then, in the meantime I hope they bring out their WRX STi sedans sometime soon as the Lancer is getting a major lead in the looks department in comparison 🙁 I’m still enjoying my MY06 Liberty which is up for its 55K service soon. Found an interesting run down of some information about the leaked builds of Windows 7 from WinHEC China by Robert McLaws. Theres also some juicy bits about the much loved boot-screen in the upcoming Windows 7 release. Epic news, Google has released a 1.0 release of Chrome. We have removed the beta label as our goals for stability and performance have been met but our work is far from done. We are working to add some common browser features such as form autofill and RSS support in the near future. We are also developing an extensions platform along with support for Mac and Linux. If you are already using Google Chrome, the update system ensures that you get the latest bug fixes and security patches, so you will get the newest version automatically in the next few days. You can download a windows version today, the Linux & Mac OS builds are still in development. Microsoft releases Vista SP2 Beta and Windows Server 2008 SP2 Beta to public! Thats right, get it while its hawt! SP2 Beta for Windows Vista and Windows Server 2008 is available for your downloading pleasure. Weighing in at 338Mb its one download for both OS’s. SP2 is an update to Windows Server 2008 and Windows Vista that addresses feedback from our customers and partners. By providing these fixes integrated into a single service pack, Microsoft provides a single high-quality update that minimizes deployment and testing complexity for customers. In addition to all previously released updates, SP2 will contain changes focused on addressing reliability and performance issues, supporting new kinds of hardware, and adding support for several emerging standards. SP2 will also continue to make it easier for IT administrators to deploy and manage large installations of Windows Server 2008. Windows Server 2008 SP2 Beta and Windows Vista Service Pack 2 Beta – Five Language Standalone version can be installed on systems with any of the following language versions: English, French, German, Japanese, or Spanish. OpenSolaris 2008.11 out the door!!! OpenSolaris 2008.11 has just been released, it encompasses some super cool new features and I’ve been waiting patiently to try this OS – need something new to learn! Just a bit of background, OpenSolaris is based on Solaris, which was originally released by Sun Micro-Systems in 1991. Sun decided to release Open-Solaris to build a developer community around their Solaris product. Eventually it seems they will be basing technology for Solaris from OpenSolaris. So you know OpenSolaris will rock your world if its backed by Sun. Download page for OpenSolaris 2008.11 or Direct Download of ISO and the 2008.11 Release notes. Checkout the newly revamped OpenSolaris website, in particular the Learn area. Personally I’m looking forward to seeing the ZFS, Virtualisation Enhancements and DTrace loving. Nicely done parody wrapping together a few things than you’d expect with a killer ending.